Obituary for Rita A. (Bille) Simkovitch | Edder Funeral Home, Inc.
Rita A. 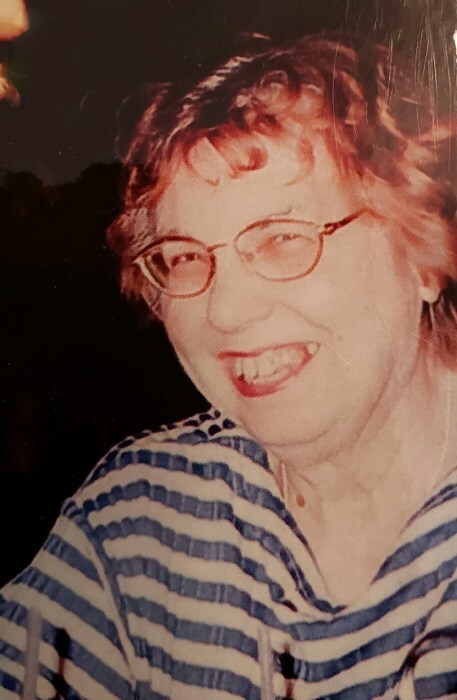 (Bille) Simkovitch, 88, of Girard, passed away on Monday, February 4, 2019 at her home. She was born October 5, 1930 in Erie, a daughter of the late Anthony and Margaret (Scherer) Bille. Rita grew up in Girard and was raised on the family farm, where now sits St. John's Evangelical Lutheran Church. She graduated from the Rice Avenue Union High School in 1949. Following high school she began employment with Pennsylvania Bell Telephone as an Operator and later for J. W. Cook Sons Builders Supply in Girard. She also worked at Bowrings, a high end home decor boutique, which was one of her favorite jobs. In 1957 she married Bill Simkovitch on December 28. The couple owned and operated Simkovitch's Tavern in Girard from 1968 to 1997. This family tavern was noted for Rita's famous perch dinners, delicious home cooked meals, and cheeseburgers cooked to perfection. The Simkovitch family was always busy with gatherings at the tavern and their family home where cabbage rolls and pies made from scratch were enjoyed by all. Following her retirement from the family business, she continued working at Giant Eagle in Girard, where she kept busy in the bakery there. Rita was a long time active member of St. John the Evangelist Catholic Church in Girard. In addition to her parents, she was preceded in death by her husband, William "Willie" Simkovitch; a son, Brian Simkovitch; her brothers, Arnold, Thomas, Joseph, Bernard, John and Robert Bille; sisters, Agnes Repel, Mercedes Bille, Carolyn Lyon, Dorothy Bille, Mary Miller and Isabel Dotzler. She is survived by her daughter, Gale Bender and her husband John of Louisville, KY; daughter in law, Eileen Simkovitch; grandchildren, Trent Bender, Susanne and Amy Simkovitch; her great grandson Skyy Bender; and brother, George Bille. Friends may call on Friday from 5 p.m. to 8 p.m. at Edder Funeral Home Inc., 309 Main St. East, Girard. A Prayer Service will be held there on Saturday at 9:00 a.m. followed by the Funeral Mass at St. John the Evangelist Catholic Church at 9:30 a.m. with Fr. Scott Detisch officating.